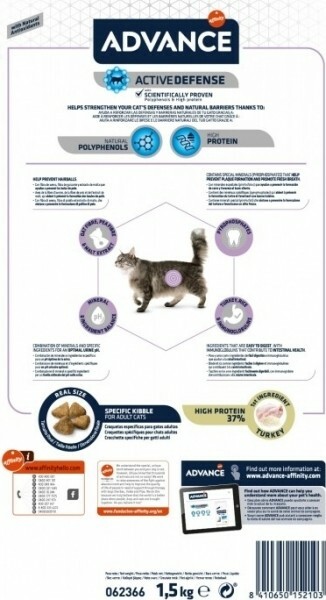 ♦ Oat fibre helps prevents the occurrence of hairballs. 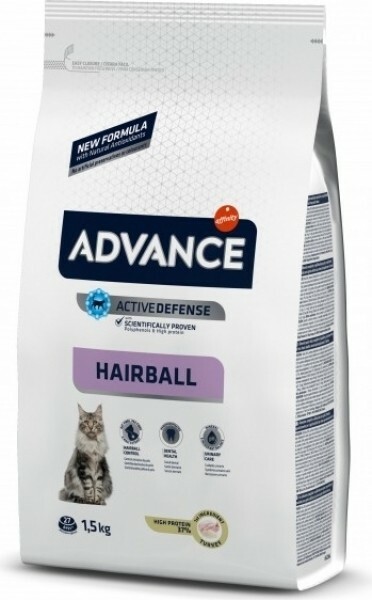 ♦ Low in calories, suitable for indoor cats to help maintain an ideal weight. 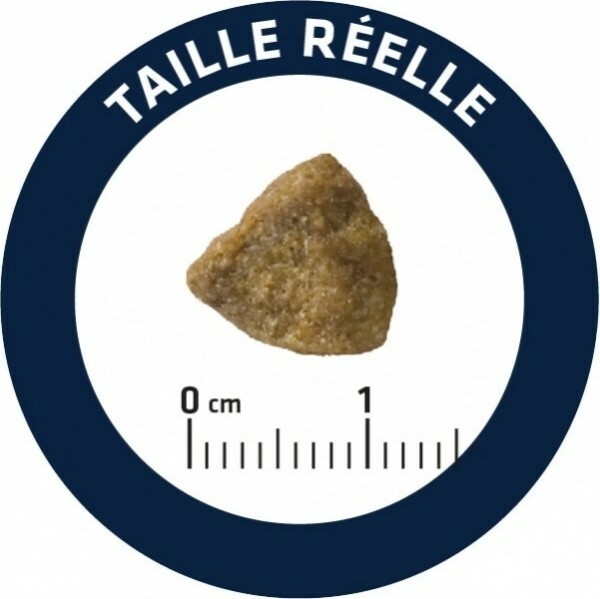 ♦ Helps digestion through the selection of highly ingredients digestible such as turkey. ♦ Taurine, an important component for maintaining excellent vision. ♦ Omega 3 and Omega 6 fatty acids for healthy skin and bright coat. ♦ Optimal level of protein for maintaining good cat health and promoting muscle development. ♦ Immunoglobulins maintains good intestinal health. ♦ Natural polyphenols and vitamins to delay cellular ageing. ♦ Neutral pH for proper functioning of the urinary system. ♦ Pyrophosphate helps prevent the formation of tartar and bad breath. Turkey (20%), dehydrated poultry proteins, corn gluten meal, wheat, rice (8%), maize, vegetable fibre, animal fats, hydrolysed animal proteins, protein, dehydrated tuna, egg powder, oat fibre , malt extract, wheat gluten, fish oil, potassium chloride, proteins. Vitamin A 33600 IU, vitamin D 3 1800 IU, vitamin E 670 mg Vitamin C (sodium salt and calcium ascorbic monosphosphato) 500 mg Biotin 0.03 mg Taurine 1200 mg 261 mg monohidrate Sulphate iron (Fe: 86 mg) , Iodine potassiuim 1.9 mg (I: 1.44 mg) copper sulphate pentahidrate 34 mg (Cu: 8.8 mg), 124 mg monohidrate Sulphate manganese (Mn: 40 mg), zinc Sulphate monohidrate 395 mg ( Zn: 144 mg), sodium 0.24 mg Selenium (Se: 0.11 mg) fumarate 137 mg iron (Fe: 45 mg) with antioxidant.Calcium 1.3% Phosphorus 1.0%. Sodium 0.3% Moisture 8.0%.